Hey y'all! You know the drill! 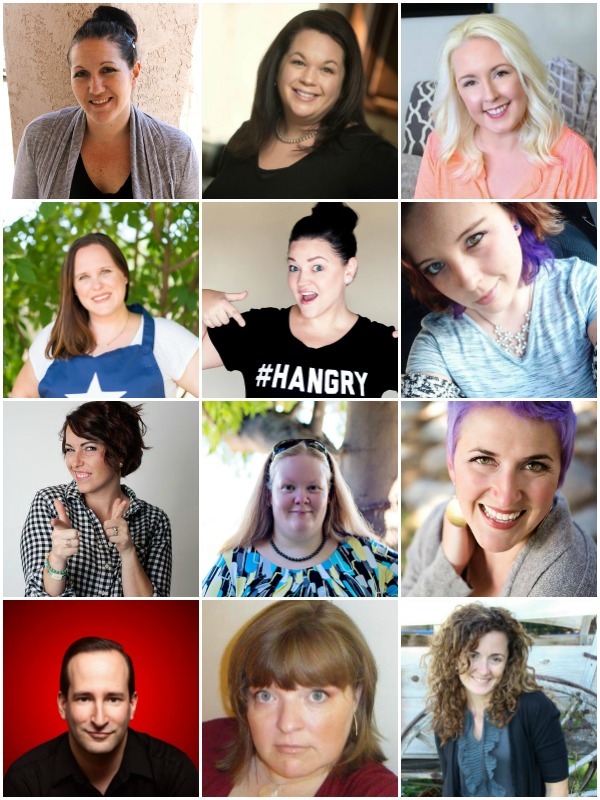 It's BACON MONTH and all month me and a whole bunch of bloggers (wrangled together by Julie of Bread Booze Bacon) are making bacon recipes ALL MONTH! Can a cookie be brooding? I feel like if it could, these dark chocolate bacon cookies would be all emo and such. They just look unhappy... even though they're quite delicious. Be sure to use dark cocoa. If possible, grab yourself a bag of black cocoa from your local pastry specialty store or Amazon. If you can't get that, then the Hershey Special Dark will do in a pinch. It really gives it a deep chocolate flavor. 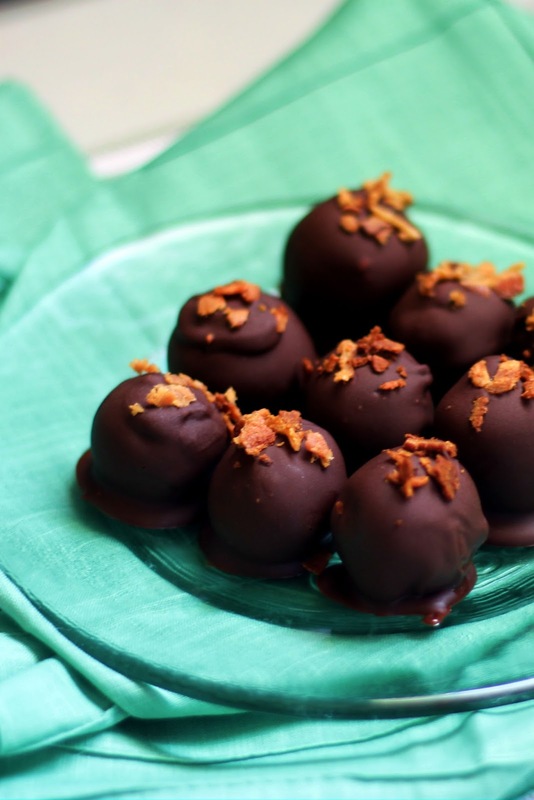 The bacon perfectly balances the richness of the chocolate with a burst of salt. 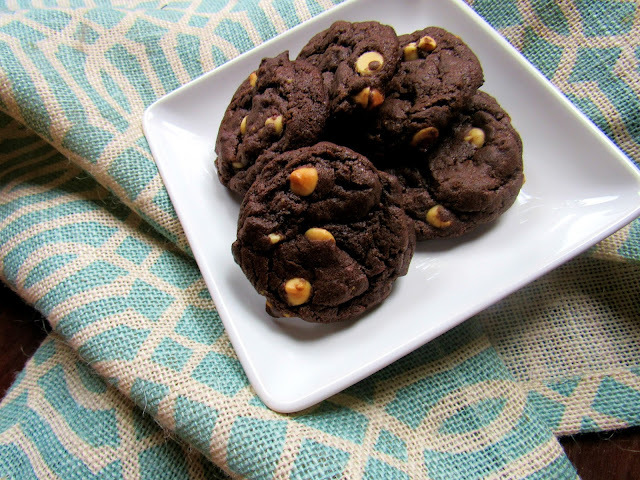 These cookies may sound strange, but they're delicious! *sub the extra two tablespoons for bacon fat for more bacon flavor! 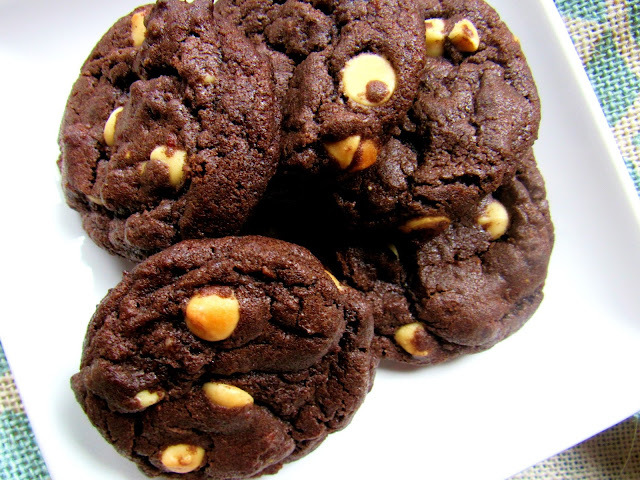 -Sift together the flour, cocoa powder, espresso, baking soda, baking powder, and salt. Set aside. -Cream together the sugars and butter until light and fluffy. Add in the egg and vanilla extract. -Slowly add the dry ingredients to the wet, stirring well between each addition. If the dough is too dry, add a bit more butter or bacon fat to get it to a slightly sticky consistency. Fold in the bacon and chocolate chips. -Form into balls and place on a silpat-lined baking sheet (or parchment paper) and bake for 12-15 minutes, until the dough has set but is not sticky. Let cool. Hey y'all! You know the drill! 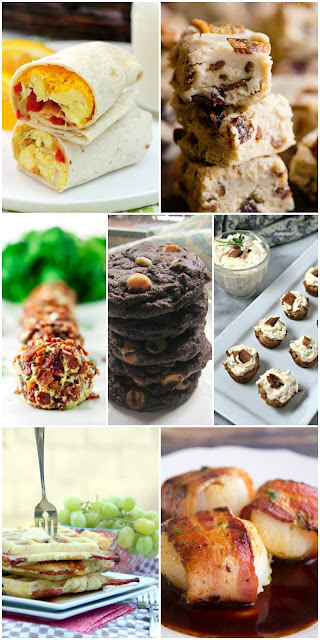 It's BACON MONTH and all month me and a whole bunch of bloggers (wrangled together by Julie of Bread Booze Bacon) are making bacon recipes ALL MONTH! It's been fun to get creative with this, and this was only my second recipe. I have some savory recipes coming soon, but it was fun to try to put bacon into a drink! It didn't come out tasting totally like a s'more with bacon, but all flavor suggestions were definitely there. If you can find it, I bet a bit of bacon flavored vodka would really put this over the edge. -Prepare the glass: carefully line the rim with the chocolate sauce, then dip into the crushed graham cracker. Drizzle sauce in glass, set aside. -In a cocktail shaker filled with ice, pour in the liquid ingredients. Crumble in one strip of bacon and 1 tsp or so of the cracker crumbs. Shake well, then strain into the glass. -Garnish with other bacon slice. Disclaimer: This is part of a sponsored event. I received complimentary products from Torani and Lodge, who have also provided giveaway gifts to our readers. After a slight delay due to my own scatterbrained-ness, here's my first contribution to #BaconWeek, run by the lovely Julie of Bread Booze Bacon! Check out my intro post for a full list of bloggers participating, as well as to enter the drawing for a whole mess of awesome prizes from our sponsors: Torani and Lodge! 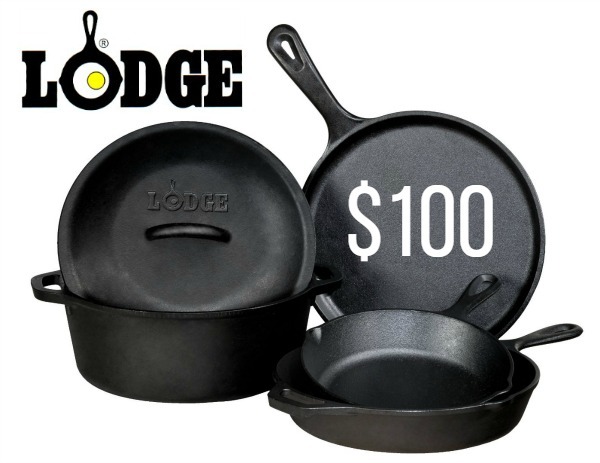 I've loved Lodge for a long time, so I was thrilled to get this frying pan from them! Not only is it great for cooking bacon, but it's my favorite thing to take camping as well. Strangely enough, I really enjoy putting bacon into desserts. It's an unexpected savory flavor that really cuts up the richness of something like truffles. And peanutbutter is always the perfect companion to chocolate... add in some bourbon... and you have a total winner here. 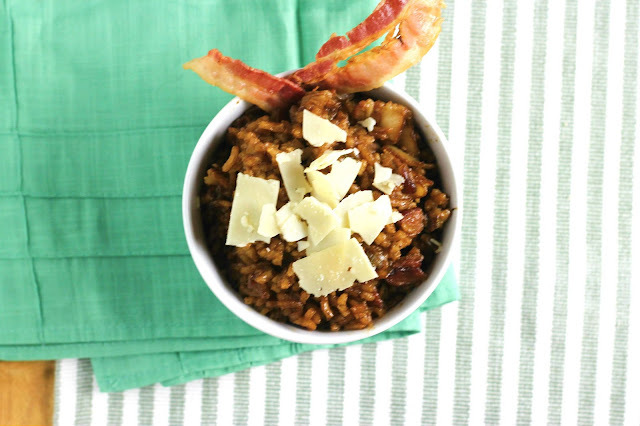 Before we get to my recipe, check out the other awesome recipes from #BaconMonth! -Mix together the peanutbutter, butter, syrup, and half of the bacon. Slowly add the confectioner's sugar until a soft dough forms. It should be just barely sticky. -Form into balls and put in freezer while you melt the chocolate. 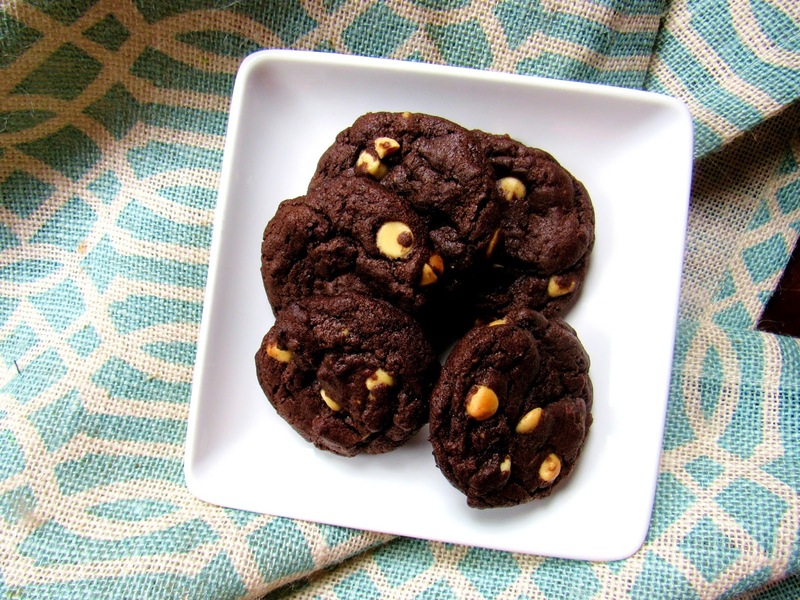 -Melt chocolate over a double boiler, or according to package instructions in the microwave. -Dip the cold balls into the chocolate and put on wax paper to set. While still wet, sprinkle the remaining bacon bits over the truffles. Guys. I am SO excited to be participating in this awesome month dedicated to one of my favorite foods: BACON! 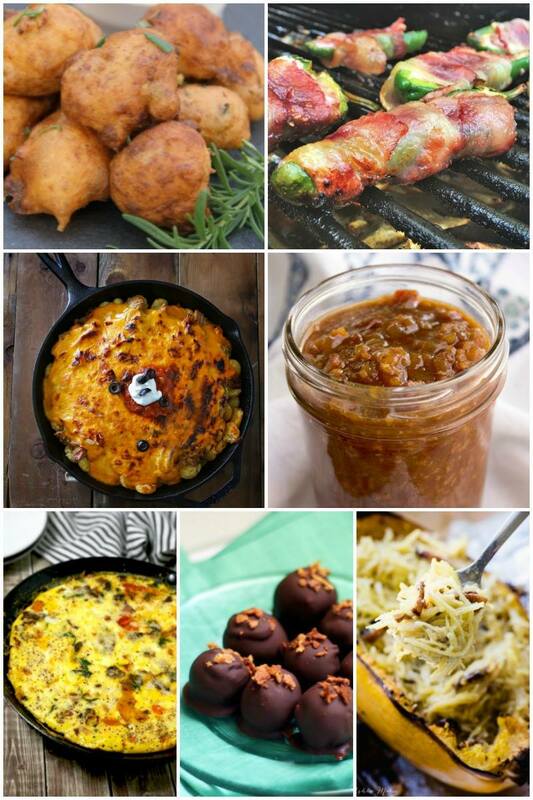 All month I'll be posting bacon-centric recipes with a whole bunch of super talented bloggers! 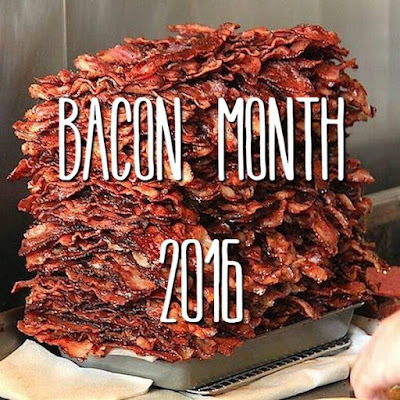 Gina | Kleinworth & Co.
What's Bacon Month? I'll tell you! Every Tuesday and Friday in August we'll be sharing crazy good bacon-centric recipes to delight your taste buds and probably effectively kill your diet. You can find links to all the posts being shared each day in your favorite blogger's recipes. And look! There's more! GIVEAWAYS! 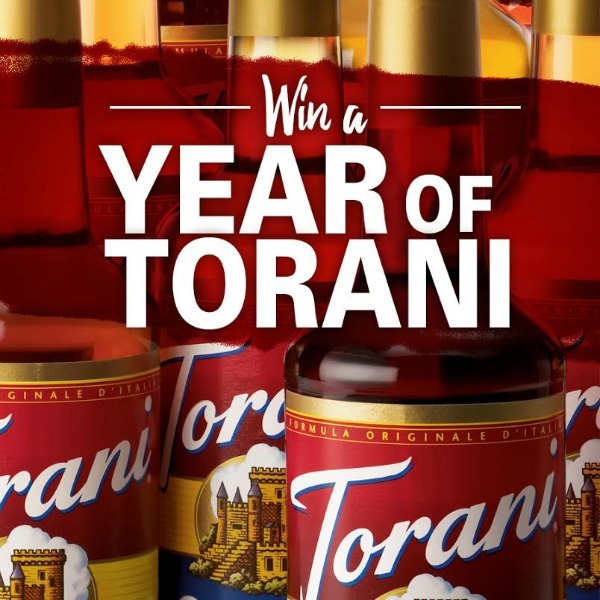 Torani and Lodge have both sponsored the Bacon Month event with their fantastic products (you'll be seeing them throughout the month) and they've also each donated a $100+ prize for our readers. All you have to do is enter the giveaway(s) you want to win using the forms below. At the end of Bacon Month, winners will be chosen. What could be better than bacon and goodies??? GOOD LUCK! Winners will be chosen by September 3rd and notified by email. Winners will have 48 hours to confirm prize receipt or a new winner will be chosen. Any entries from "giveaway accounts" or that cannot be verified will be disqualified. Prizes are distributed directly from Torani, Lodge Cast Iron, and WLOW Media LLC respectively. Pinterest, Instagram, Twitter, Facebook, and PayPal are in no way associated with this giveaway.